The kids are back in school! 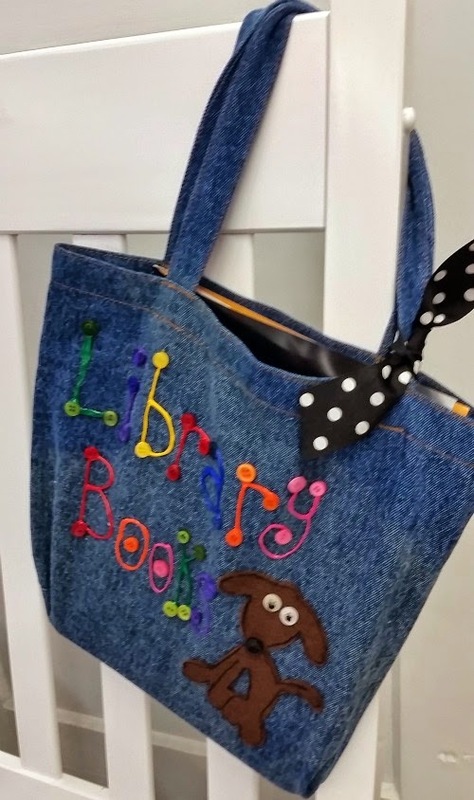 How adorable is this tote bag for library books. 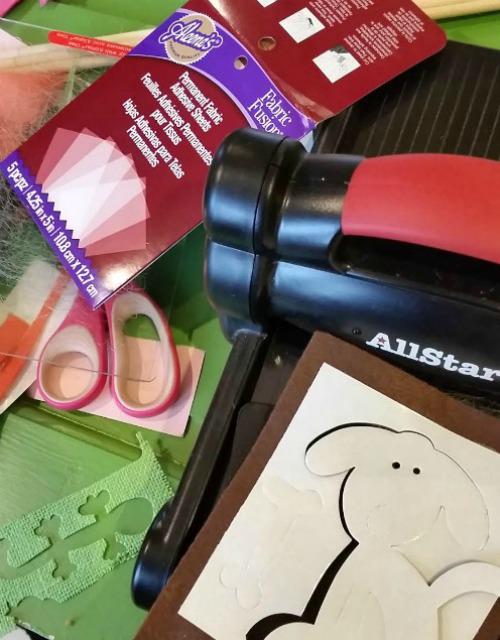 It's super easy to make which makes it a great project to do with kids! 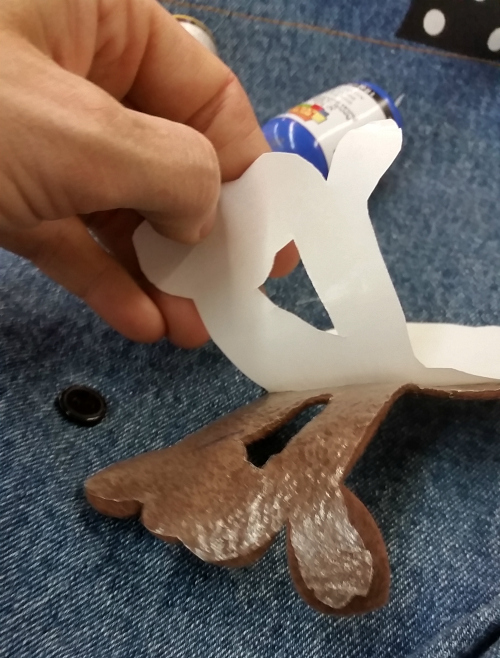 Apply the adhesive sheets to the felt/fabric with one of the sticky sides. Choose a design and either cut it out or run it through a die machine to get the shape you want. I used the adorable puppy from my Pet Shop Collection with Ellison, because it's brand new and I love it! Peel the other side of the adhesive sheet and apply it to the tote bag. This is permanent, so be careful how you place it! 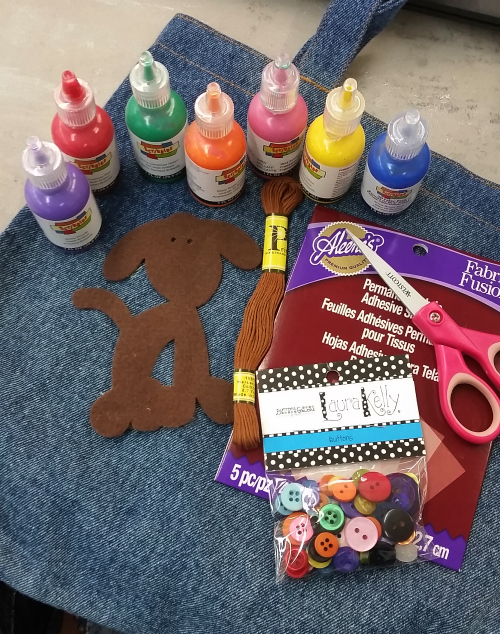 Then I added buttons with the Fast Grab glue and used Scribbles paint to create outlines and eyes for the puppy. I added a little polka dot ribbon for the final pizazz. Ta da! 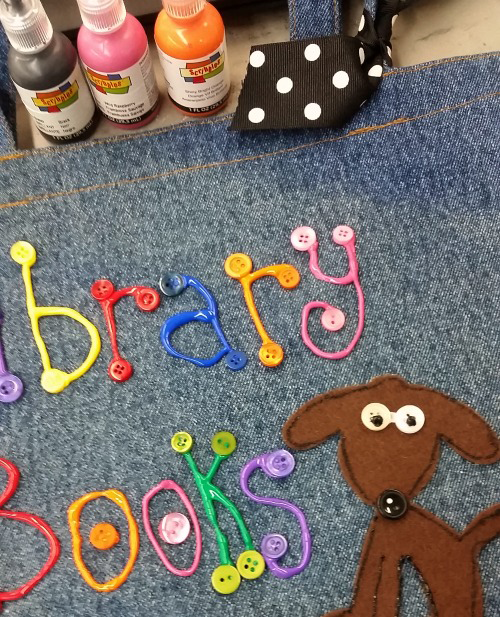 Happy Crafting (and reading library books too). First of all this is adorable - second, googly eyes make everything better, and finally Fabric Fusion comes in sheets now - love that!! What a super cute craft! Yay!!! I love this project. Those adhesive sheets are rad! Cool project. Oh my gosh this will make a great birthday party craft for my almost 10 year old's SPCA donation theme party!! Thanks for the great idea!! 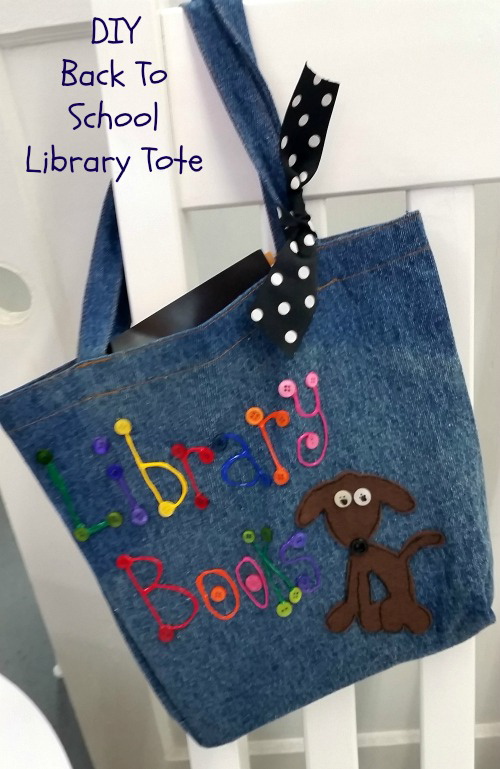 This would be a great project to do in an art class at school, so the kids can carry their library books in something other than a plastic grocery bag. So cute! Love the puppy. Little readers would love to carry this!